Tom Wood is an Associate Director at FC Lawyers within the business and commercial property team with extensive experience in a broad range of areas. He is recognised for his strategic advice and attention to detail when analysing issues. Tom has a loyal and impressive client base many of whom he has acted for over 20 years. He attended the University of Queensland and completed a Bachelor of Arts and Bachelor of Laws degree. He worked at a major national firm in Brisbane, and was admitted as a Solicitor in 1992. Having grown up on the Sunshine Coast, Tom soon returned to practice law on the Sunshine Coast. 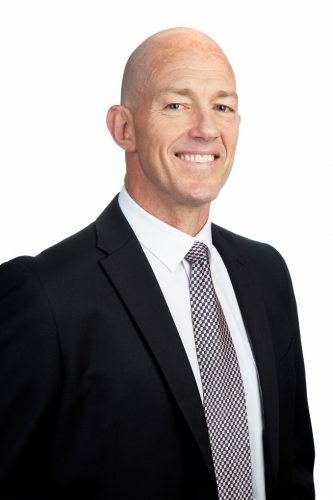 In 1997 Tom established a well-known and successful legal firm at Mooloolaba in which he was a partner for many years. Tom is a Life Member and a past President of the Suncoast Community Legal Service, Queensland’s largest voluntary legal advice service. He has been on the volunteer roster there since 1993 and has also been a Visiting Lecturer at the University of the Sunshine Coast. Tom plays rugby and is a Life Member of Maroochydore Rugby Union club, of which he is also Honorary Secretary, and a past President and Club Captain. Tom has also been involved in surf lifesaving since childhood. At Mooloolaba Surf Life Saving Club, Tom is a Long Service Member, rows surf boats, is on the Supporters Club Management Committee and the Judiciary Committee. Feel free to send an enquiry to Tom and he’ll get back to you as soon as possible.